A picnic area is reserved for you with redwood picnic tables and BBQ grills for your use. All picnic areas have lots of tree and lots of shade! You and your guests are sure to have a fabulous time! This package provides groups with a variety of services and activities to choose from. Groups can pay a party fee along with a staffing fee and then order individually or “a la carte” additional services such as rental and catering menu items. Groups may bring in their own food and drink. BBQ grills are available for use at no charge. Enjoy the flexibility of designing a simple afternoon outing or an elaborate event with all the extras. STAFFING: The following guidelines are to be used for determining staffing fees for each party. 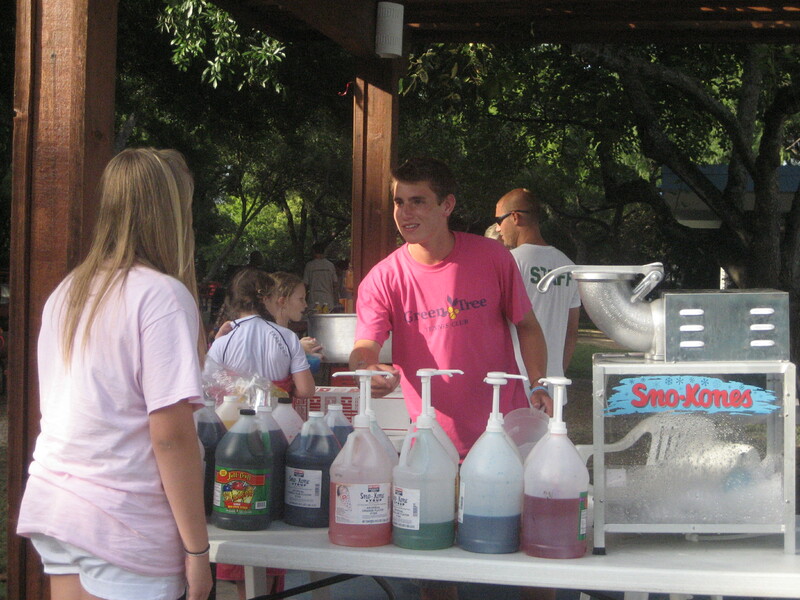 The staffing fee covers lifeguards, party set up and clean up personnel as well as pro-shop and check in staff. Lifeguards are all certified in advanced lifesaving and CPR (parties may not provide their own lifeguards for liability reasons).